The beauty of podcasting is that anyone can do it. It’s a rare medium that’s nearly as easy to make as it is to consume. And as such, no two people do it exactly the same way. 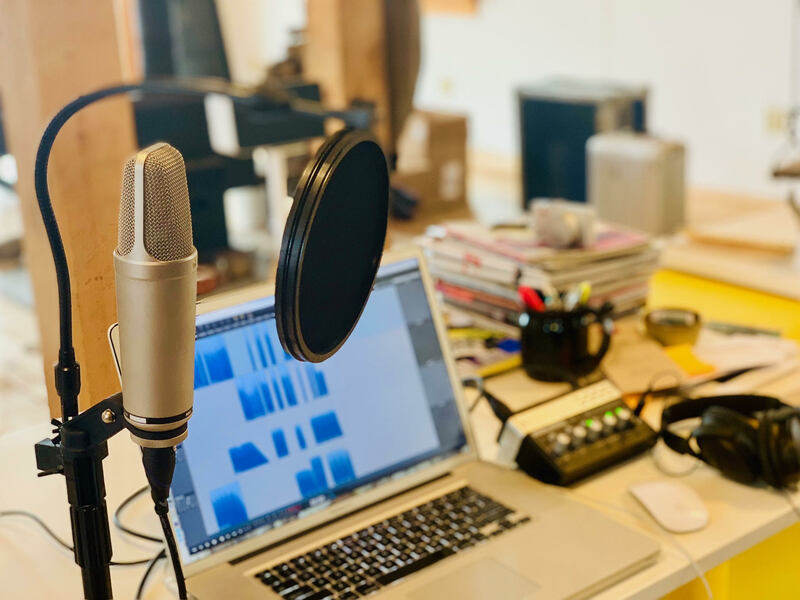 There are a wealth of hardware and software solutions open to potential podcasters, so setups run the gamut from NPR studios to USB Skype rigs. This week, we’ve enlisted a host who straddles the line between pro-level public radio recordings and home studios. These days, Dan Kennedy is probably best known as the host of the podcast version of The Moth Radio Hour. For more than 20 years, The Moth has featured some of the most engaging, funny and thought-provoking names in long-form storytelling. The series’ latest collection of stories, The Moth Presents Occasional Magic: True Stories About Defying the Impossible, is out now. I don’t record The Moth Podcast here at home. We record that at the office studio downtown, or at Argot Studios, and we’ve had a ton of great producers over the years — Whitney Jones, Laura Haden, Timothy Lou Ly, Paul Ruest, Julia Purcell, to name a few. Home is where I record everything else in my world; audio versions of my McSweeney’s pieces for their Patreon site; freelance production and voice-over work for clients — usually cable networks; demos for new podcast ideas like this limited series idea me and some friends in L.A. pitched to Panoply and Audible and wherever else that might end up. My rig here at home is a Rode NT 1000 mic, through an Onyx Blackjack, into Hindenburg Journalist. Super straightforward. I know a lot of people like SM58s and Yetis, but I’m in love with that Rode. I still have a Presonus TubePre, but I never use it anymore. There’s an old blue Anvil road case here that’s followed me through three or four apartments; the tomb of old gear from over the years — Oxygen midi controllers, old Line6 stuff, iRigs… When stuff finally breaks or becomes incompatible, that’s where it goes. I’m amazed by how much you can do at home now. I came up through community radio in Seattle back in the day, 400 watts that would maybe reach to Kent on a good morning. You had to reserve the production studio at night if you wanted to record personal stuff. Or maybe you had one friend with a rack of preamps and reverb, a decent mic and a Tascam Portastudio, and you had to bring your ideas to their house and try to get something done. Now you can pretty much record anything at home and distribute it worldwide. It’s a very cool time to be making things.